You will earn 6,449 Reward Points. Earn 1 reward point for every 1 dollar spent. 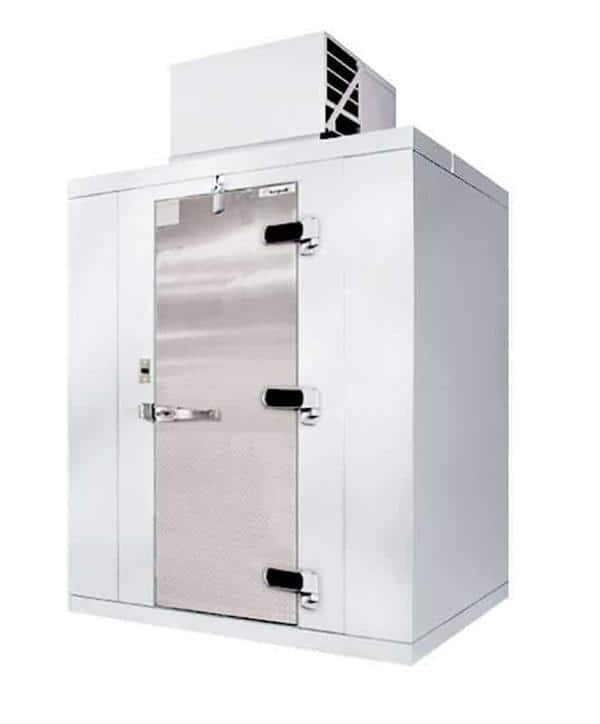 The Kolpak QSX7-108-CT Walk-In Cooler is a floorless model that features a powerful 1 hp., medium-temperature (+38F) top-mounted unit that will keep your inventory fresh and chilled to perfection. The unit features a 26 gauge embossed galvalume interior & exterior for maximum durability, a 2.5" dial thermometer for precise temperature control, and 1.5" vinyl/foam screeds. This cooler is 90 inches tall, 116 inches wide, and 93 inches deep. Optional outdoor package is available.